AFL New Zealand has honoured the talents of current players with New Zealand heritage within the AFL. The AFL New Zealand Heritage Team comprises the best 22 players who are either born in New Zealand, or have New Zealander parentage. The squad included some superstars of the game including Karmichael Hunt, Simon Black, Nathan Van berlo, Shane Savage and Sam Mitchell were among those listed on the team sheet, with Simon Black also recently receiving the honour of being selected in the Multicultural Team of Champions. St Kilda forward Beau Maister spoke of his proud New Zealand heritage, his mother born in Christchurch and still having relatives in the southern city. The big Saint was unlucky miss out on the historic ANZAC Day match in Wellington through injury, but there is every chance he could end up involved in further matches the Saints play in the New Zealand capital. The sport is one that many New Zealanders in Australia pick up enthusiastically. Not only are the fundamental movement skills similar to sports more traditionally associated with New Zealand, the passion for footy that exists in Australia makes it hard to resist for sports-mad Kiwis. Large communities of New Zealanders live in Australia, especially in the eastern cities. Almost 700,000 New Zealanders call Australia home, with the number steadily rising. AFL and the discovery of a fantastic new sport is a big part of the journey for many of them. The AFL is becoming steadily more popular in New Zealand. The competition is now broadcast on two television networks, including the free to air Sommet Sports. There are also now more than 30,000 participants each year in programmes run by AFL New Zealand. The numbers of participants and fans continue to grow. The development programmes run by AFL New Zealand have a vision of AFL as a New Zealand sport. At every level of the game, from teaching schoolchildren the fundamentals through the AFL KiwiKick programme, to high performance training for athletes looking for a pathway in sport, to social leagues played on summer evenings, AFL in New Zealand is on a roll. This is great news for the future of the sport in both countries. New Zealanders moving to Australia will have an understanding and enjoyment of the game, and Australian clubs will have a bigger pool of talented players to select from. The New Zealand Heritage Team is a reflection of the strong links that already exist between the two countries. 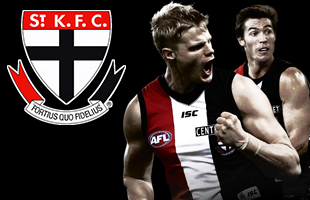 A passion for AFL is one of those links that is growing stronger every year.